his friend was in such a poor spirit. In the documentary, ‘This Is Elvis’, there is film of Elvis at one of his parties. The guests were messing around and having fun. Elvis was not the centre of attention. He quietly smoked a cigarette until he was forced to put down the book he was reading. The film only was only shown after Elvis had died but, like much that followed, it indicated a man who preferred his own company much more than he felt obliged to pretend. In one sense, Elvis can be described as the William Shakespeare of rock and roll. The two men both had wide ranging ability. Elvis mastered the different genres of American music and Shakespeare wrote on all the different aspects of the human condition as well as anyone. Like some of the songs of Elvis, some of the plays of Shakespeare do creak. But Elvis has the voice and sensitivity and Shakespeare had a gift for the English language and psychological insight. And it is the English language. The quotes of Shakespeare may refer to classical writing but there are no Latin affectations in his verse. The legend of Elvis may even imitate Shakespeare and prevail way into the future. Few of us now remember the Elizabethan rivals of Shakespeare. 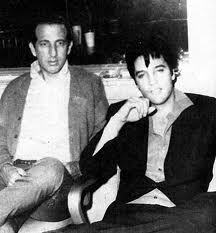 As the appeal of vocalists diminishes, it may be the same with Elvis. We will go to Shakespeare to hear blank verse and put on an Elvis CD, MP3 track or whatever, to listen to someone sing in tune. available seat. I am like many who first experienced Shakespeare in school. For a long while, I could not have told you honestly whether I liked his plays or not. You first encounter a text which has to be read and analysed. 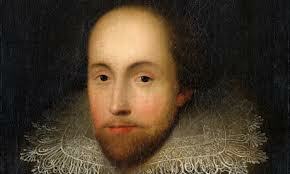 I think I had written half a dozen essays about Shakespeare before I even saw one of his plays. And, like Elvis, he ‘got too big’. By the time you become familiar with the strange language, you have spent so long with the analysis you are not sure that liking him is being confused with merely understanding. The man should be good on guilt. He leaves plenty around. Later, after I stopped being a teenager, I saw ‘King Lear’ and ‘Hamlet’. After that, I understood the fuss although I was also convinced that there were few who responded to his work objectively. Like Elvis, he had just ‘got too big’. The Globe Theatre works. The emphasis on authenticity reminds us that his plays suffer from mechanical plotting but the humour works in a way that I have not experienced outside this traditional context. Shakespeare was an entertainer but he was also a tease who knew how to play a crowd. It may not have been Elvis in Vegas but it did make me think of him. His plays require audience participation and knowing winks. The Globe was a relief after the recent ‘Hollow Crown’ series on BBC TV. The history plays of Shakespeare have been converted by the BBC into realistic film drama with impressive natural locations. They should be watched but when a Shakespearian actor has no audience to share his asides and winks he often sounds silly. Much has been said of how Shakespeare loved life. He was no snob either orthodox or inverted. He accepted people and, as the violence in Shakespeare reveals, his talent for understanding human failings coexisted with a relaxed acceptance of the uncomfortable consequences. Tolstoy, of course, was no fan of Shakespeare. Before I read his criticism, I had assumed it must have been because he thought Shakespeare was glib about history. His own ‘War And Peace’ avoids what happens in Shakespeare. We are all familiar with the scenes in Shakespeare where the King is told of an overheard criticism or betrayal and then three scenes later armies are assembled on English fields. But, no, Tolstoy was more concerned with the uncritical acceptance of human life. Orwell eventually intervened and argued that Tolstoy was a man who was anti-freedom. Shakespeare created the cowardly irresponsible braggart Falstaff but he believed that his fat fool should have sympathy. 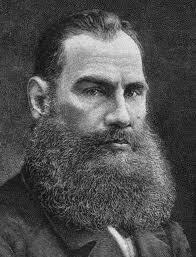 Tolstoy only saw a villain and a breed that would undermine his plans for human spirituality. Some critics of Shakespeare will say that Tolstoy is right and that is why Shakespeare suits the establishment. He stops us thinking about revolution. Certainly, his revolutionaries in Shakespeare’s ‘Julius Caesar’ are all doomed but not because they are flawed. They simply overestimate the potential for revolution. But, and this is where we go round in circles, Brutus in ‘Julius Caesar’ is always the equal of Mark Anthony. And this, the defenders of Shakespeare argue, is what makes him great. He has an ability to see the worth in all. Then, who knows how great he was and did he know? 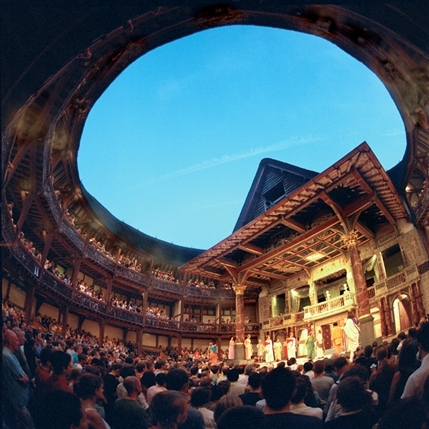 For example, in the productions at the Globe, the female parts are played by young men as they would have been when the plays were first seen by Elizabethan audiences. Before the play is finished, belief is suspended and we think of the characters as female and forget that the actors are men. Recently, though, the Royal Shakespeare Company set ‘Julius Caesar’ in Africa. I do not mind modern productions. In an odd way, the anachronism is equivalent to the artificiality of a bare Elizabethan stage. It is preferable to the no expense spared realism of the ‘Hollow Crown’. In the Royal Shakespeare Company production of ‘Julius Caesar’, the black female leads were fabulous and gave a dimension to their characters I had not noticed previously. These were influential and powerful women but a contradiction, adoring and appreciative of their fortune they are also long suffering and resentful. Their confident mature sexuality is important because it helps tame violent men. Is all this in the play or did it require modern actresses? The same debate exists about Elvis. Is he talented or was his talent exaggerated by gifted musicians and songwriters. Orwell argued that ultimately nobody could act as an arbitrator in art. We like what we like and when we try and justify our taste we use words such as sincere, profound or elegant, words that have nothing to do with objective analysis. There is a temptation to argue that the critics of rock music have needed, like Tolstoy, to insist that the best of rock music should represent a brave new world whereas Elvis with his swollen stomach was always obliged to embrace much more than that. Elvis missed Falstaff in Vegas but we all know that, if they had met, he would have shown him respect and shook hands. They may have even liked one another. Brilliant, yet again, Howard has a true gift for contrasting and comparing what seem to be the most challenging of personalities. Great post, we have lot’s of Elvis impersonators today, but there are many that feel that Shakespeare may have been the greatest impersonator in history, Sir Francis Bacon and the Earl of Oxford are among many thought to be the true author of Shakespeare’s works, they argue he was a humble actor not a writer, and only an aristocrat or someone in court would have been able to provide the details of many of Shakespeare’s work. |The movie ‘Anonymous’ showed strong arguments supporting Oxford as the true author.